leads to a 41% increase in on-site visits! You already know about Google Street View. It's efficient and effective for getting you where you need to go. But did you know that you can apply the same 360 technology to give customers and clients an INSIDE look at your business? Having Google Street View for Business means that your clients and customers can click through, walk around, and see what it’s like to stand right inside the centre of your business - before they even come in the front door! 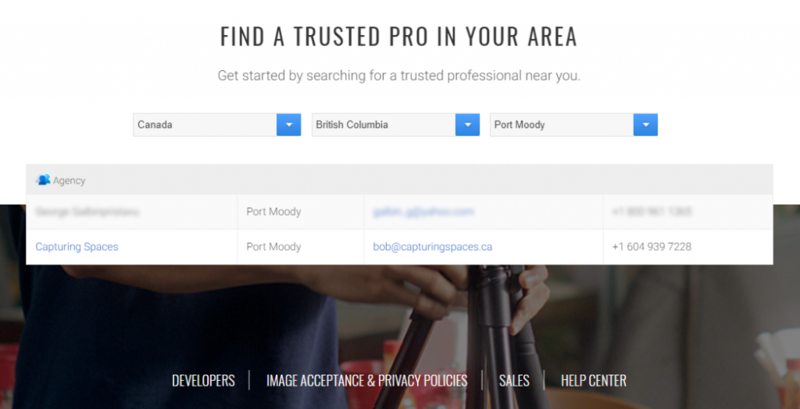 Whether your shop is in Langley, or you have an office in Coquitlam, you can invite your clients and customers inside with a virtual tour powered by Google Street View Technology. 97% of people now search for businesses online and look into them before they decide to go check them out in person. Give your customers an INSIDE look at your business and they'll be more likely to visit in person! Increase your Visibility and Google Rankings! Google Street View Technology helps customers find you in the first place! The stunning images we take and submit to Google will pop up when people search for your business. Google loves visuals! 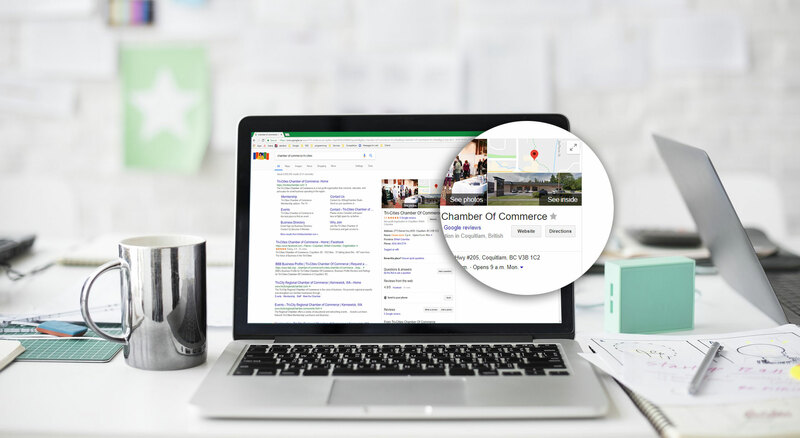 Your Google ranking and conversion rates can improve by simply adding a 360 Google Street View for Business images and video that will show up across Google Search, Google Maps, and Google My Business! Why is Google Street View for Business important? Increase your walk-in traffic! Clients will be 41% more likely to visit in person. Help your Tri-Cities business get noticed! Get more foot traffic to your shop in Surrey! Wherever you are in the Lower Mainland or Fraser Valley, we can help get you noticed! 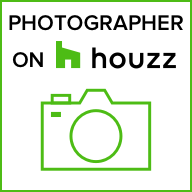 bOB is a Google Expert Photographer, which means that he has contributed over 100 photos to over 25 locations on Google Maps! 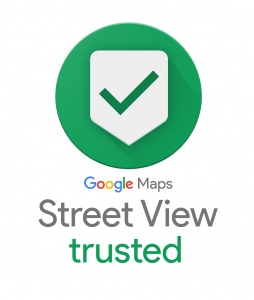 We are a Google Street View Trusted Agency. These commendations from Google mean that we know the best way to get your business noticed! 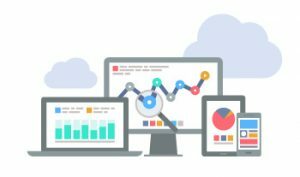 We have Google's trust, and we can help you gain the trust of your clients and customers by establishing your authority on Google. Help your clients see the bigger picture before they even come through the door. And everyone loves to shop online or check out places before they visit them. But not everyone has a 360 video camera or knows how to leverage 360 for business. Don’t get left behind because you don't have the technology or know-how! See how 360 photography can work to your business' advantage! Take a peek inside the Tri-Cities Chamber of Commerce! Invite your Customers in and Watch your Traffic Soar! Some of our more popular Google Street View photos have over 400,000 views! Now imagine what that kind of traffic can do for your business! Your customers and clients can look around the inside of your shop, plant, or warehouse, check out your displays, or view the layout of your offices - all by taking a virtual tour through your business. In the same way that the Google car maps out your neighbourhood and has 'hotspots' that you click on to launch yourself further down the road, we use Google Street View technology to shoot and submit the same type of footage to Google to allow your business to be seen by anyone anywhere in the world! A whole new perspective is opening up! Contact us to find out more about how we can make 360 Google Street View for Business can work for your forward-thinking business. Rates start at only $299!